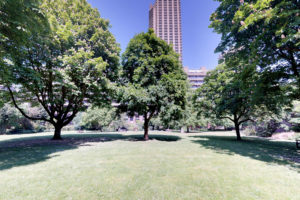 With its 35 acres and two thousands homes, Barbican is the City of London’s largest residential area. 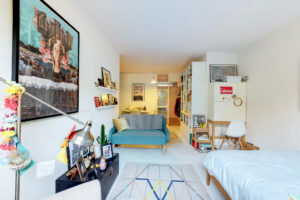 It is a vast, sprawling area which offers a great choice of flats, town houses and studios, as well as boasting a wide variety of local interests such as Europe’s biggest multi-arts venue the Barbican Centre, the Museum of London, the Guildhall School of Music and Drama. The age range of Barbican’s residents is across the scale so no matter where you are in life and your reason for looking to move to the area, you will be surrounded by likeminded people and a community spirit. Living in Barbican, you are near the law and finical districts as well as having easy access to the Barbican’s very own overground and underground transport links which induce the Circle, Hammersmith and City and Metropolitan lines. There is also a vast number of both junior and secondary schools near by. The nightlife in the Barbican has plenty to offer, with an exciting mixture of wine and cocktails bars, cosy traditional pubs and a variety of delicacies in the local restaurants. Also, with its very own theatre nestled in the Barbican Centre, the opportunity to while the night away dancing, sipping on a glass of bubbly or catching a play right on your doorstep is very tempting. One of the best bars and restaurants in the area is the Neo-Barbican, described as “Classy and stylish” by Square Mile Magazine which really says it all for the area. A selection of properties we have sold and let within the Barbican Estate.